KAR’s 2018 Member Guide gives detail on KAR along with contacts and other information. Download it here. 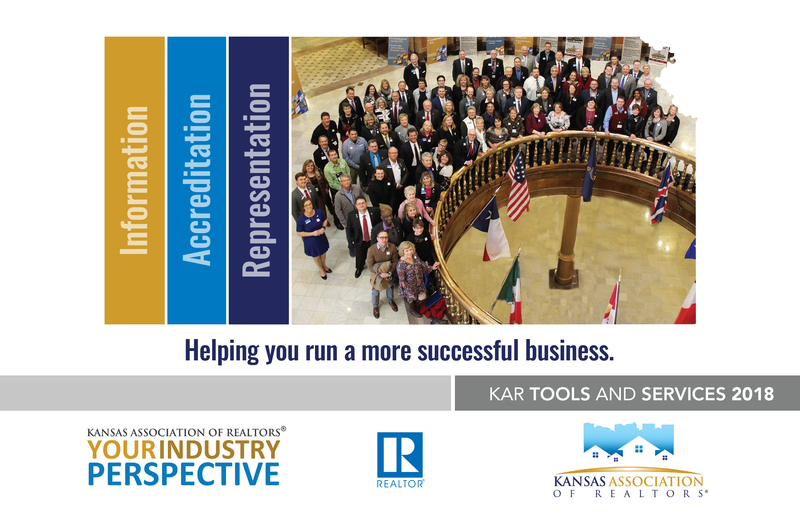 Come to KAR for the tools, trends and knowledge that are vital to doing business in Kansas. The exclusive resources are a benefit of your KAR membership. Free online access to legally-vetted and approved forms for all types of properties and transactions. Reduce your risk with access to legal expertise on transaction-related and other legal questions. The Legal Hotline is a subscription service available to KAR Brokers. Use Kansas data to set realistic expectations with your clients to compare to your local market. Monthly market data gives you the most accurate picture of the Kansas real estate market. The preeminent market publication gives you industry trends, strategies, analysis, and news shaping the residential real estate industry. Think of this as free Tech Support! The Tech Helpline team handles a variety of technical problems to help you get the best performance from your office equipment. Call the Tech Helpline at 866-432-3021. *Legal Hotline is not included with KAR membership. Service is available to brokers through a paid subscription.